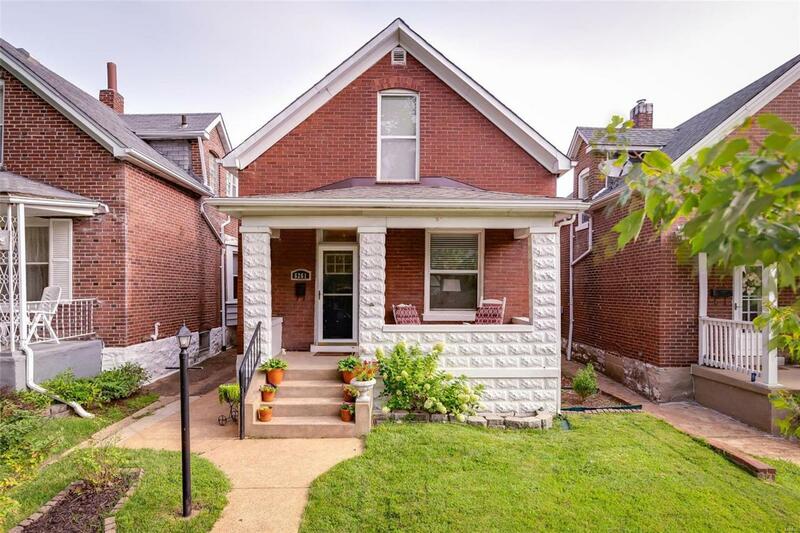 Charming brick home in the popular Clifton Heights neighborhood on a quiet private street. A large foyer welcomes you in and opens to a sun-filled living room with decorative fireplace as the focal point. The separate dining room will be perfect for entertaining and has a large window seating area. The updated kitchen boasts beautiful cabinetry and plenty of counter space. Just off the kitchen is a convenient main floor laundry. A large bedroom and half bath complete the main floor. Upstairs are two large bedrooms with ample closet space and an updated full bath. The level fenced yard will be the highlight of your outdoor entertaining with a large patio and over-sized 1 car detached garage. Close to restaurants, shopping, parks and so much more.